A good night’s siesta is what you need for a healthy morning glow. We have all known how sleep is essential for the overall functioning of your body. But do you know a beauty sleep can give us that gorgeous looking skin? Just as we settle down on our bed, we are preparing our skin to wake up for its long night busy hour of working that involves repairing and regenerating the damaged cells and of course getting ourselves ready for the next day battle. Many a times, after returning from work, we girls, are found guilty of directly curling up inside the blanket, catching up with our snacks and chilling with newly Netflix mania without even cleansing our face. Just think of all the dirt and grime accumulating in your face! Skipping your nighttime skin care routine is a big no-no. While you’re having your beauty sleep, it is important for your skin to breathe for repairing and rejuvenating skin cells. Going to bed with your make-up on your face blocks skin pores and creates a hurdle for your skin to breathe. Result? You wake up with clogged and dull skin the next day. I’m sure no girls would want that. You need to feel beautiful and confident inside and out for so not-much-awaited crazy schedule. So today, we’re going to tell you the proper skin care routine which you must follow up regularly before going to bed to get that perfect shine the next sunlight hours. A cleanser is a skin care product that can help get rid of makeup, dirt, impurities, pollutants and dead cells from your skin. Before hitting your bed, always remember to cleanse your face with a good quality regular cleanser. You can also opt for natural face cleansers which are chemical-free. A cleanser will help you to get rid of dirt and grime that has accumulated on your face throughout the day. Make sure to wash with cold or lukewarm water as lukewarm water helps to open up your skin pores, getting rid of any unwanted residues. It will further unclog your pores that can result in deadly breakouts. 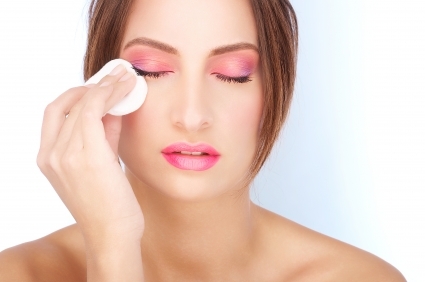 Make up removal should be your daily practice because it is truly beneficial for your skin. Removing your make up before bed is a step that you must never skip. Always invest in a good makeup remover to get rid of all those stubborn waterproof eyeliners, mascara and lipsticks. Or even you can use coconut oil to wipe up your make up. Put a small amount of coconut oil on your eyelids and clean with a cotton pad. Make sure to eliminate your make from your face entirely, no matter how weary and exhausted you feel. 3. Slather on some face serum! A face serum is a great addition to your skin care beauty regimen. Serum is composed with small molecules that penetrate deep into your skin, delivering all the vital ingredients. It helps in maintaining the skin elasticity by making your skin firmer. It can reverse any signs of visible lines and skin damage. Always apply face serum before moisturizing and after cleansing. Never ever forget to moisturize your skin before bed time. This one step can be really favorable for your skin. Cleansing daily can strip off your natural oils from your skin. A moisturizer ensures that it can again lock all the natural oil in without leaving your skin dry and flaky. If you’ve oily skin, it is recommended to always invest in water based moisturizer. Stress at job and lack of sleep can take a drastic toll on your overall beauty and frequently results into dark circles and baggy eyes underneath your eye area. 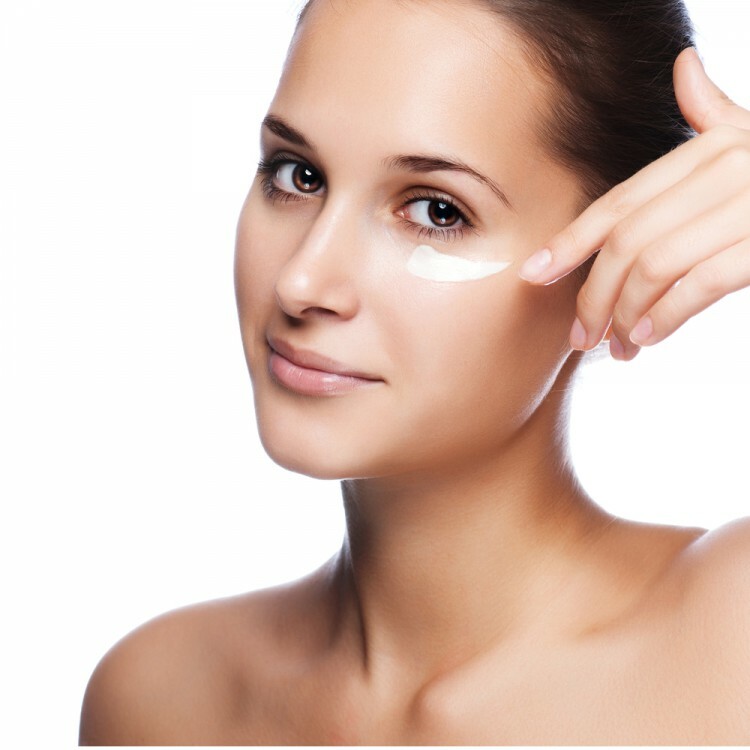 Use an under eye cream for dark circles every night before your bed time. It will also help remove the early signs of ageing as puffiness in eyes lead to wrinkles and the job of an under eye cream is just to shrink any evident lines, maintaining elasticity and suppleness of your skin. Since your skin has to go through a lot of stress and pollution in day-to-day life, your skin tends to lose its firmness. When you’re settling yourself to sleep, you are giving your skin the access to absorb all the essential nutrients. Usage of night cream before you go off to bed will ensure that your skin is replenished and you wake up with a healthy looking skin the next day. Not only will a night cream help replenish your skin but also remove spots, pigmentation and wrinkles. It will even provide your skin a radiant look with continuous usage. So, these are some tips that you can incorporate in your night-time skin care routine that you must never skip before you hit the sack. These six steps will make sure that you wake up with beautiful looking skin the next sunlight. What’s your bed-time skin care routine? Do you follow it regularly? Thanks for sharing Oindrila. Have been wanting to try serums but still undecided on what to get. Any brands you can recommend? Yes! You can use one from Lakme or L’Oreal ? Hope that helps. Thank you for sharing your skincare routine. I’ve recently just added serum to mine and it’s made such a difference! Really glad it helped you ? Glad you found it useful ? A good skin care routine will do wonders for the skin! 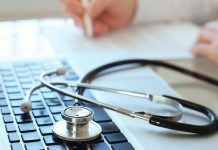 Great post Oindrilla! Thanks a lot. 🙂 Do try these tips at nightime. I need to be better about cleansing regularly. I’m really bad about that! Yes! It is really important to cleanse your face at regular intervals. 😀 You should definitely give it a try. Such a lovely post – looking forward to more!!! Hope you’re having a lovely week! Hey thanks for the appreciation ? stay tuned for more. Really it’s very good post about take care of your skin.Thanks for sharing them.